This blog site provides a brief history of institutional torture, isolation and social discrimination practices in 19th Century Boston harbor. Following the closure of island quarantine in 1847, the city used the Island for a variety of forms of confinement under such terms as schools, poor houses and hospitals for the city's misfits. This blog complements a forthcoming book on Boston island quarantine practices. 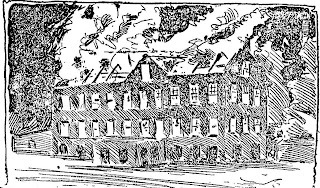 funds the creation of a “hospital” on Rainsford Island to care for the droves of poor entering Boston after the famine in Ireland (BG, September 15, 1878, p.2). It also authorizes the Board of Commissioners of Alien Passengers to send sick state paupers to Rainsford Island if accommodations are available (1853 ARGC, Chapter 572, An Act Concerning the State Pauper Establishments within this Commonwealth, Section 5, p. 574). In conformity with a statute passed in 1855, drunkards are confined to the island (see 1867 entry below). The law applies to those violating the 5th section of the 143 chapter of the Revised Statutes and is limited to 6 month sentences (1855 MA Acts and Resolves, Chapter 52, page 525). The Court approves $20,000 for an enlarged hospital, workshop and laundry and the construction of a tomb (1855, ARGC, Chapter 76, p. 971). The Annual Report of the Rainsford Island Almshouse declared 246 paupers lived on the island on an average week (ARGC, 1860). The appropriation covers ordinary hospital expenses (ARGC, Chapter 42, An Act Making Appropriation for Expenses of the state almshouses and the hospital at Rainsford Island, p. 365). The 3 year term requires one of the three appointed positions to expire every year. (ARGC, Chapter 195, An Act Concerning the Appointment of Inspectors of the Hospital at Rainsford Island, p. 518). Governor Declares Rainsford Island Hospital is well managed: However, Governor John Andrew indicates its benefits accrue almost entirely to Boston (1862, ARGC, Governor’s Address, p. 267). The General Court provides $350 to build water closets in the hospital. Presumably, out houses were used prior to that time (1862, ARGC, Chapter 42, Resolve in Favor of Rainsford Island Hospital, p. 222). With a certificate from the Governor, enlisted men in the Commonwealth can use Rainsford Island if they are sick with any contagious or infectious disease (1864 ARGC, Chapter 170, An Act Relating to Rainsford Island Hospital, p. 109). This measure, supported by Governor John Andrew, requires those sick of smallpox or other dangerous diseases, whose lives would be endangered by removal, to be cared for within their own community. Towns are reimbursed for such cases at the average weekly rate that would be paid for care at Rainsford Island Hospital (1865 ARGC, Chapter 162, An Act Concerning Admission of sick persons to the State Almshouses, p. 558 and Governor’s Address on pp 719-721). The General Court allocated these funds to the Rainsford Island inspectors for necessary action in anticipation of resurgent immigration after the Civil War (1866 ARGC, Chapter 66, Resolve Concerning Rainsford Island Hospital, p. 310). The virtual closing of the hospital followed public cries of waste and extravagance in the care of the state’s paupers on Rainsford Island. (BG, September 15, 1878, p.2). The whole number of patients at Rainsford, from 1854 to 1867, was about 7,000 not including some 400 vagrants, drunkards, etc. These lost souls were received under sentence, in conformity with a Commonwealth statute passed in 1855. Of the 7,400 persons that lived on the island, about 300 were infants that were born there. The State admitted many of the inmates more than once, so the real count of unique individual was probably less than 7,000. A total of 884 died at the hospital or more than 12 per cent of all the patients (Supplement to the 12th Annual Report of State Charities, Public Charities in Massachusetts during the century ending 1876, p. cxx). As a cost saving measure, the legislature turned these responsibilities over to other state almshouses (1869, ARGC, Chapter 43, An Act to Abolish the Office of the Inspector if Rainsford island, p. 426). The Board of Charities authorized its General Agent to inventory its Rainsford Island properties in anticipation of its sale. The legislature issued a resolve authorizing the Governor to sell all the island property and to order its removal and distribution to other state charitable institutions. (1869, ARGC, Chapter 39, Resolve Authorizing the sale of Rainsford Island, p. 805). Due to the planned sale of the island, the Board assigns an Island Keeper to work with its General Agent to develop a list of equipment to distribute to other almshouses (SBC, Annual Report, 1869, p. cxxii). The buildings remain in nearly the same condition as a year ago except in so far as time and the elements have damaged them. Significant repairs were rendered necessary by the great September gale. The Keeper takes good care of the property, and with his family is the sole resident of the island. (SBC, Annual Report, 1869, p. 78). “Elements of Evil” Necessarily persist in Almshouse System: The State Board of Charities urges an overhaul of the almshouse system in view of systemic failure to help the poor rise out of poverty. The Board discontinues the Hospital at Rainsford Island calls it “useless.” It lessened the number of sick at the almshouses, by providing for their relief at their homes. It also declared the principle of “aggregation of the poor” in almshouses as counter productive to their well being! This radical thinking resulted in the sale of the island to the City of Boston (SBC, Annual Report, 1869, pp xxxi to. xxxiv). State Moved Rainsford Inmates to Tewksbury: The shutting up of Rainsford Island Hospital and the removal of its inmates to Tewksbury has largely increased the number of its inmates requiring hospital accommodations. Cost was a factor in this relocation. The state spent $103,228 in construction costs on Rainsford Island from the date it took it over 15 years ago. It was costing the state $22,120 a year to keep the island Almshouse operational (SBC, Annual Report, 1870, pp. 222, 369). City Purchased Rainsford Island from the Commonwealth: Boston purchases the island for $40,000 and uses it for paupers whose settlement falls within the city limits (Boston Municipal Register, 1875, p. 119). Initially City Officials placed male paupers on the island (Memorial History of Boston, Vol. 4, p. 649). The Boston City Council received a letter of complaint from Rainsford Island Inmates concerning the poor food served to them. The Council took no action. 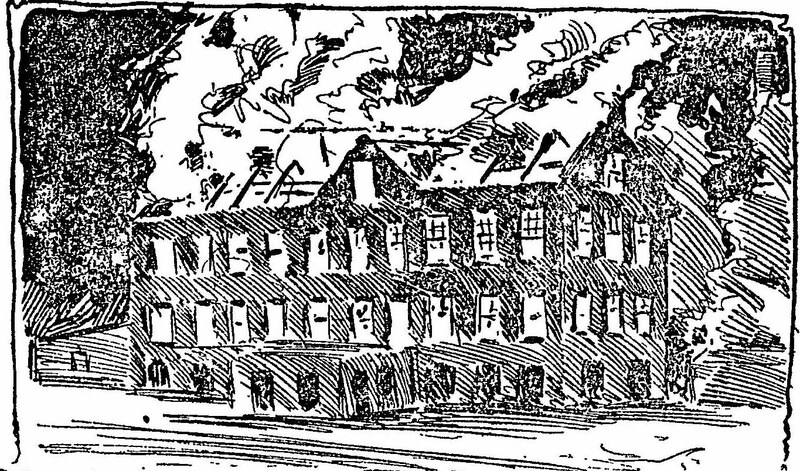 (BG, December 15, 1876, p.8). Board of Public Institutions staff Dismiss Complaint: Representatives of the Board of Public Institutions investigated the food complaint of the previous week and dismissed it as the revenge of a disgruntled inmate who had lost his privileges after misconduct. (BG, December 22, 1876, p.5). The Boston City Common Council received another complaint from Rainsford Island Inmates concerning the poor food served to them. (BG, September 15, 1882, p.4). Need for change reflects the overwhelming burden placed on a nine member lay board without full time dedicated staff to oversee 14 major pauper institutions and other social service functions (BG, January 3, 1888, p.3). Sometime in 1889, The Board of Public Institutions relocated female paupers to Rainsford Island. Simultaneously, male paupers were placed on Long Island where there was more space for them to work. The Boston Globe refers to Rainsford as a lodge with little to do (BG, December 8, 1889, p.6). Councilman Norris called the Rainsford island Hospital a “disgrace to the city” and urged the removal of the paupers to Long Island. (BG, October 14, 1892, p.4). Reverend Banks condemns the unchristian treatment of Paupers: Dr. Luis Banks wrote an editorial in the Boston Globe in which he said there were no fire escapes on the island hospital. 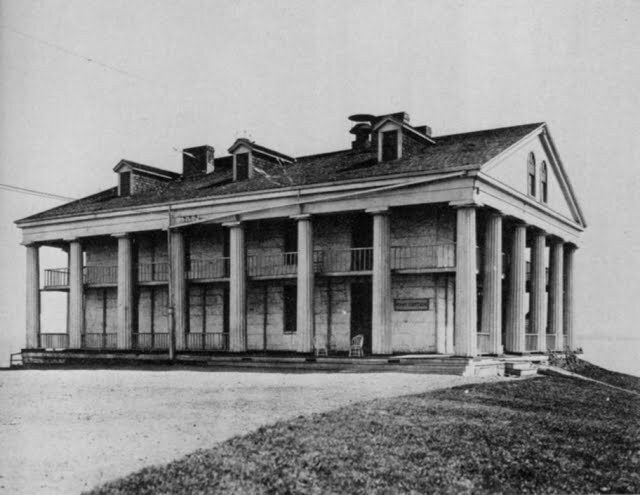 He also claimed the building had been condemned a quarter century before and its inmates lived in overcrowded conditions (BG, February 20, 1893, p.5). She claims that up to 351 women live on the island and many sleep on the floor and have no chairs (BG, March 31, 1893, p.4). The Boston Globe suspects he resigned because of the “chair incident” (BG, April 26, 1893, p.5). Boston Globe reports 234 inmates on the island based on a story appearing on page 4 of its March 30, 1894 edition. 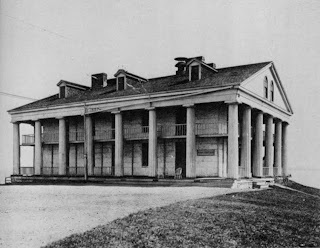 Dr. Ernst Establishes a Sick Baby Hospital on the Island: Working with the Board of Public Institutions and other physicians, Dr. Ernst worked feverishly to create this hospital for poor working women. (BG, August 7, 1893, p.4). First children to Use the Hospital Arrive today: The hospital is the same building previously used for the almshouse but was totally refurbished and cleaned and supported by nurses from several religious orders. (BG, August 8, 1893, p.8). The Globe highlights his colorful military background before becoming Superintendent (BG, March 17, 1895, p. 23). The use of the island was done inexpensively by relying on convict labor from Deer Island and the services of the Board of Health’s fumigation equipment found on board the Vigilant. (BG, May 6, 1895, p.6). Boston Globe reports his untimely heart attack on May 27, 1895. Lorenzo D. Perkins appointed "Super" of Rainsford Island: Perkins, a 40 year old former teacher, was a deputy superintendent at the House of Industry on Deer Island before his appointment. (BG, June 9, 1895, p.24). The Globe reports that the city will continue the children’s hospital as a permanent service. (BG, May 8, 1896, p.8). After finding scarlet fever amongst the children on the island, Heath orders the hospital closed for new patients until it can be fumigated and cleared of disease (BG, August 12, 1896, p. 8). During their visit they are urged to support improvements on the island to make it a better training center for youth (BG, October 21, 1896, p.7). Perkins is removed from office for lack of discipline at the House of Reformation for Boys (BG, December 28, 1898, p.7). Boys were said to be kept in dark solitary basement cells for three or four days (BG, March 10, 1899, p.4). Globe story raises public outcry concerning island conditions(BG, April 26, 1899, p.12). Mayor contends the resignations are not related to the investigation of the Rainsford Island Boys Reformatory (BG, May 3, 1899, p.1). Suffolk County Grand Jury Recommends Reformatory be placed on Mainland: The recommendation is reported on page 14 of the June 22, 1899 Boston Globe. The North wing of the House of Reformation for Boys was gutted the previous night at a loss of $20,000. This front page Boston Globe story brought further public attention to the island’s dismal conditions (BG, August 10, 1899, p.1). In one of the most daring moves in the history of the island, a riotous series of events led to a conspiracy of youths who started a fire to escape the island. (BG, August 21, 1899, p.1). Seavey Appointed "Super" of Rainsford Island Reformatory: Previously Sumner D. Seavey served for more than 18 years as an officer of the Massachusetts State Prison before his appointment to Rainsford (BG, October 3, 1899, p.7). Once Again a Case of Arson on Rainsford: Globe reports four boys are singled out for a fire on the island (BG, March 21, 1900, p.1). Need for more Room is raised in a Boston Globe Story (BG, May 17, 1900, p.6). Mayor Hart transmitted a report of a commission composed of the City engineer, City Solicitor and Superintendent of the Street Department recommending transfer of Rainsford Island to the Street Department to be used a garbage plant (BG, March 28, 1901, p. 9). City Councilor Watson urges Mayor Curley to fix overcrowding at Suffolk School: Wants contents that truants are mixed in with hardened criminals for want of space to separate these groups on Rainsford. 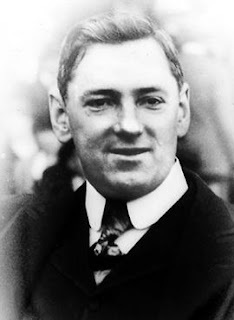 Watson created laughter at a City Council meeting by declaring that "I couldn't make a speech that would appeal to you, even it I stood on a. stack of Bibles-unless the Bibles were published by the Finance Commission.” His remarks underscored the city’s desperate fiscal condition and the underlying “bottom line” orientation of the decisions made during this period (BG, October 26, 1905, p.8). Suffolk School for Boys, Needs Fire Protection: Boston Globe reports the fire prevention system on the island is inadequate; the island’s coastline needs protection from soil erosion and; water service needs improvement. (BG, January 6, 1907, p.17). Dr Charles P. Putnam and Lee Friedman of the children’s institution trustees submitted a minority report, last year, recommending Suffolk school be abandoned and the boys transferred to the Lyman school. The city appointed a committee of five to investigate, and four months ago their report recommended keeping Rainsford Island. (BG, July 4, 1909, p.23). Corporal Punishment Becomes a City Scandal: Corporal punishment was a public fascination. Superintendent Seavey meted out routine punishments, 24 hours after an offense and in the presence of the offended teacher. He used a rattan on the hand to make his punishment and presumed revenge had been done away with by this planned method. The rite of punishment was infrequent and only for grave offences. The Globe reported that in several years of work at Rainsford one teacher had never received any kind of personal disrespect from any boys, declaring that the “boys are amenable to the refining influences of women, and seem to feel great affection for their mothers, wretched examples of motherhood though many of them are” (BG, July 14, 1909). Boston Globe reports Arthur Allen and Frederick McGinley died trying to escape from the Suffolk School for Boys. John Scully survived after near total exhaustion in attempting to swim across the 200 yard channel between Rainsford and the coast. All three boys were 13 years old (BG, July 10, 1913, p.1). Due to an accidental fire, the island’s shoe shop burned down this date causing $15,000 in damages. (BG, December 22, 1916 p. 4). Curley indicts the current system of detaining truants on Rainsford Island as a form of class discrimination, mentioning that the children of rich families never get sent there even if they are truants. Legal loopholes get them out of island confinement. He urges the state take over Rainsford Island. (BG, February 3, 1917, p. 8). Mayor Peters Urged to Abandon Rainsford Island: The cost of repairing the existing buildings is too expensive for the city to afford. According to the Boston Globe, the best option is removing the Suffolk School for Boys from the island. (BG, December 17, 1919, p. 13). David Brickley declares the facility “Hunky Dory” for the 84 boys housed at the island. His assessment is of suspect quality based on years of government neglect (BG, July 15, 1920, p. 10). City Commissioner O’Brien announces that the city will abandon the Suffolk School for Boys and all 91 inmates will be paroled. By December 31st all boys are removed from the island (BG, November 11, 1920, p. 12). Mayor considers the island excess property and the assessed value of the buildings as worth only firewood. (BG, April 12, 1923, p. 13). The city takes no action but there is an ongoing cost of maintaining the buildings even though they are no longer used by the City. (BG, April 27, 1927, p. 8). Finance Commission Urges Sale of Excess City Property: Within a portfolio of $1.1 million in excess city property, the Finance Commission notes that the assessed value of Rainsford Island is $145,300 (BG, July 22, 1927, p. 25). In the nick of time, the Massachusetts legislature authorized a harbor park to include 31 islands in Boston harbor (BG, July 18, 1976, p. 45). This is the first year the Harbor Island Park was fully staffed to support tourists (BG, July 18, 1976, p. 45). Recently, the state negotiated the lease of Spectacle and Rainsford islands from Boston for 50 years at a cost of $157,000. The leasing of the two islands and the opening of Peddocks Island to the public for the first time in 10 years were announced yesterday during a press conference on Georges Island, one of the most heavily visited of the harbor islands (BG, June 25, 1981, p. 1). Rainsford Island, covered with graffiti and slowly being denuded as campers hack at its last trees for firewood, is an example of what can happen to an island not managed by the Park. The State Park managers earn $220 a week to live on and care for six of the more popular island in Boston Harbor Islands State Park (unfortunately Rainsford Island was not one of those). For the estimated 150,000 visitors who arrive by public ferry and private boat at the Park each summer, a manager combines roles of local historian, naturalist, and informer of camping and fire regulations designed to protect the fragile island habitats. (BG, June 26, 1984, p. 1). Governor Dukakis yesterday unveiled plans to develop and preserve Boston Harbor Islands State Park during the next 15 years through an ambitious project expected to cost the state about $45 million (BG, June 29, 1986, p. 26). Mayor Menino expressed support yesterday for the Boston Harbor Islands entering the national park system, but ruled out handing over the Custom House Tower or Long Wharf to the federal government without additional compensation. (BG, September 3, 1994. p. 21). Congress creates Boston Harbor Islands National Recreation Area: The bill creating Boston Harbor Islands National Recreation Area won unanimous approval in the US Senate and was sent to President Clinton for his signature. US Rep. Gerry E. Studds, the Cohasset Democrat who was the prime mover behind federal designation, said that the legislation was two years in the crafting and that the public-private management partnership it creates is a model for how national parks will be run in the future. (BG, October 13, 1996. p. 1).